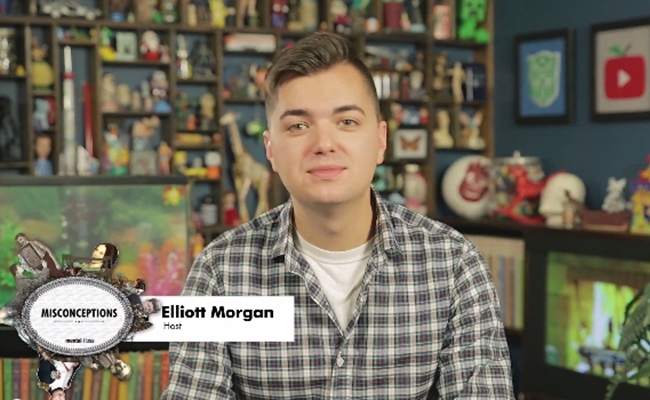 After building its YouTube channel around a flagship program hosted by John Green and then expanding its reach through a separate program hosted by Craig Benzine, Mental Floss has now turned to Elliott Morgan. Morgan is the host of a new web series called Misconceptions, which seeks to clear the air about factoids that are often misunderstood. The first episode is out to debunk “Misconceptions You Learned in School” through a ten-item list of inaccurate beliefs. Some of these “misconceptions”, such as the idea that Columbus thought the Earth was flat, are not actually believed by very many people above the age of 10. Others, such as the (apparently false) claim that toilet water flushes in a different direction in the Southern Hemisphere, are more widely held. Morgan has popped up on several different channels since he left his role as a SourceFed host back in April. He has been active on his personal channel, where he has launched web series like Happy Hour, and he also showed up on Mashable’s YouTube channel as the host of the Mashable Minute. On Mental Floss’ channel, his laid-back delivery provides a nice complement to the frenetic, fast-paced delivery that has become John Green’s signature style. New episodes of Misconceptions will arrive each Friday.